Strawberry is a beautiful, small fruit and is liked by many for its bright red colour and juicy texture. 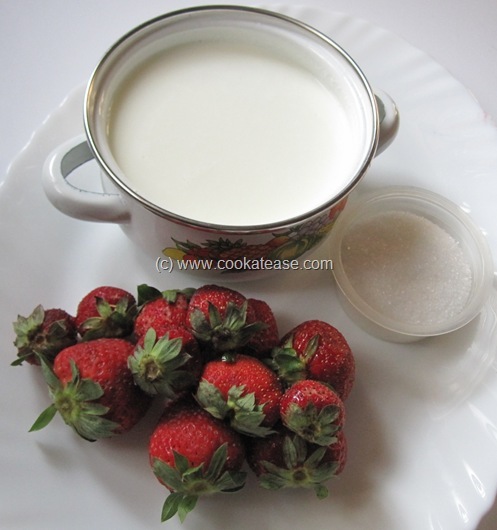 Also it is a good source of vitamin C. Strawberry is used to prepare fruit salad, juice, milk shake and ice cream. 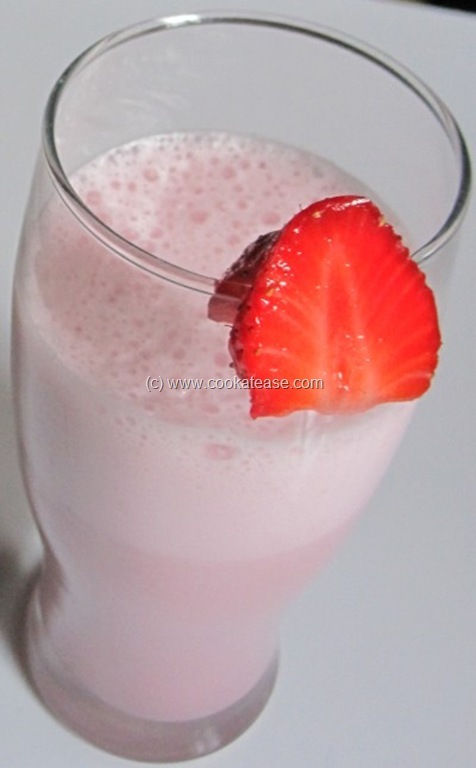 Here is a simple easy-to-prepare Strawberry Milk Shake. 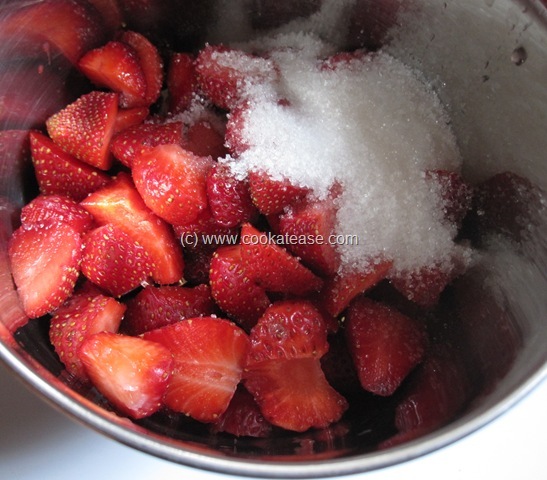 Wash, hull the strawberries and cut into pieces; add them with sugar in a mixer or blender; blend it to a smooth consistency. 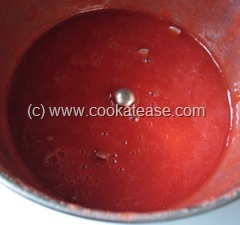 Add chilled milk, cream and run the mixer for few seconds (use ‘whipper’ option). 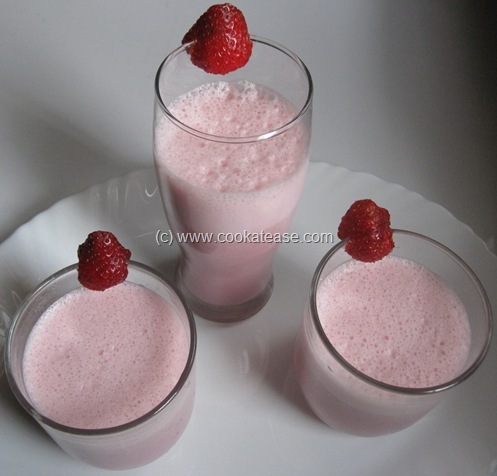 Now chilled, creamy Strawberry Milk Shake is ready (approximately 3 glasses). I used low fat Amul fresh cream. Feel like finishing that irresistible shake,yumm! Previous post: Nuclear Radiation in Food: How Much is Too Much ?